Today we released Orbeon Forms 2017.1, the first major release of Orbeon Forms in 2017! This release introduces several important features and enhancements. This version introduces initial Liferay 7/DXP support for the Form Runner proxy portlet. See the documentation for details. 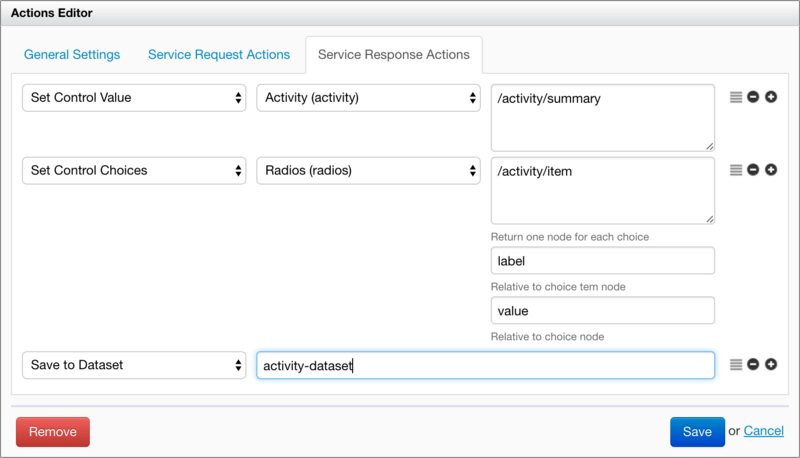 Datasets are a flexible way to retrieve data from services and to use it in your form. For more information, see the blog post and documentation. 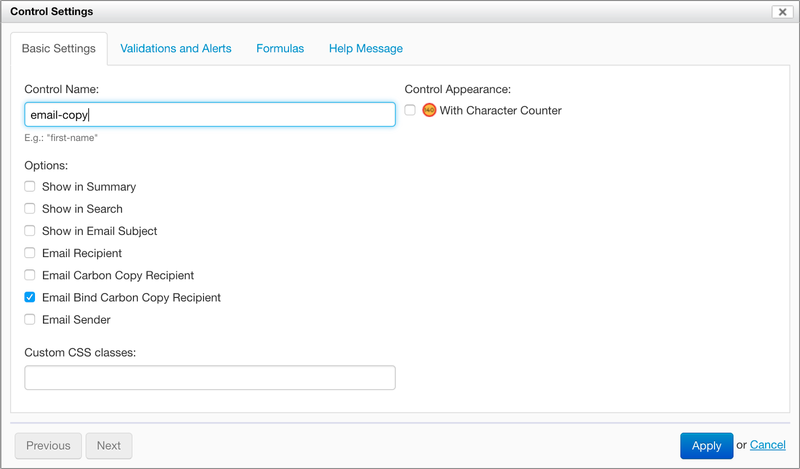 In addition, request and response actions can be easily reordered. The new layout makes it clearer when actions run and under what conditions. 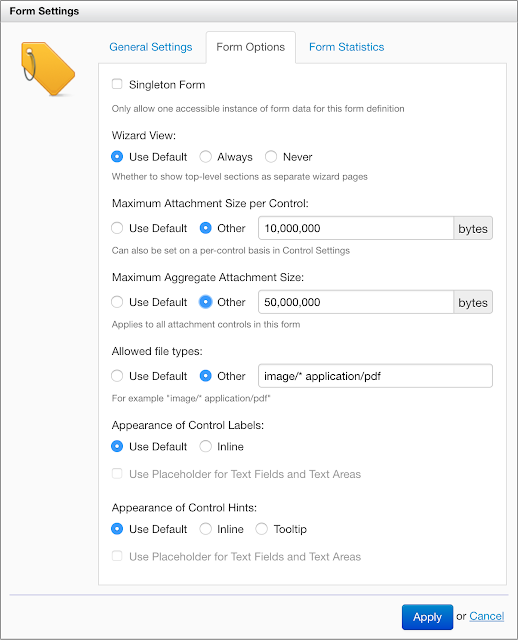 It also allows for handling datasets (see above). You can now control much better the maximum size and file types of attachments globally, per application, or per form. 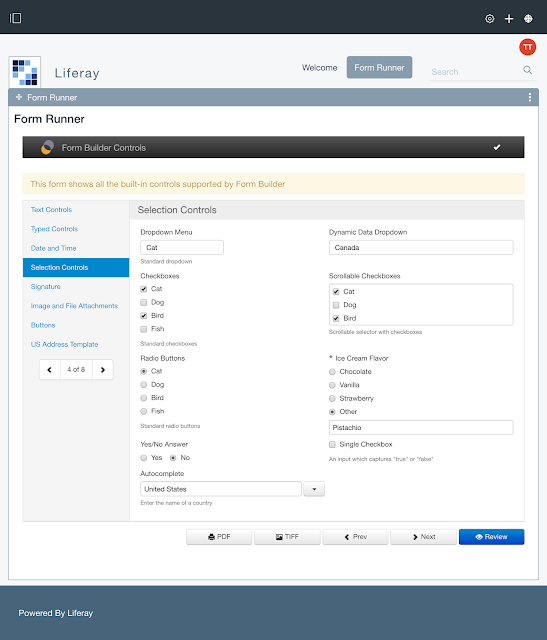 In the latter case, the configuration can be done directly in Form Builder's Form Options tab. For more information, see the blog post. You can now use the value of fields to set email senders and "carbon copy" recipients. See the blog post for more. We continually maintain the Orbeon Forms source code base. This release includes a lot of refactoring as well as better tools for client-side (web browser) programming (#1600). We hope that these changes will allow us to move faster in the future. Including the features and enhancements above, we closed over 130 issues since Orbeon Forms 2016.3. PDFs generated from the Form Runner detail page are no longer available via an HTTP GET call. External applications which rely on this as part of a form submission must use instead the pdf or pdf-url content methods. If you have custom XForms code using instance('fr-service-response-instance'), make sure to replace this with xxf:instance('fr-service-response-instance') instead. The same applies to other service instances. As of Orbeon Forms 2017.1, Internet Explorer 8 (IE8) is no longer supported.